Remember when I said I was going to be around more last week and then I totally wasn’t? Also, remember how I said I was going to a barre class Monday instead of running to give my “shin splints” an extra day to heal? Well I gave them Tuesday as well and then on Wednesday I attempted a run. I say attempted because it was more limping than running. I made it 1.5 miles somehow before I called it quits and limped myself home. I knew I was in trouble. I sort of knew I was in trouble a while ago when my “shin splints” seemed to only be happening in one leg. And in one spot. Ever the runner I decided it was probably no big deal and I could run through it. Boy was I wrong. So this is my life now. I am on crutches until next Thursday at least, I go back to the doctor then for more x-rays to see how my tibia is doing. 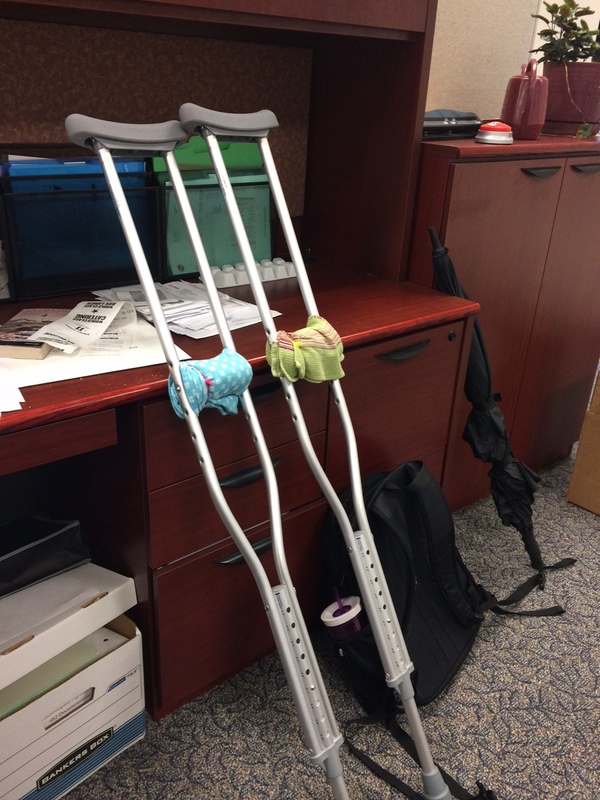 It’s not a stress fracture….yet. But there is quite a bit of trauma and had I not gone in when I did I probably would be dealing with a fractured tibia. So where does that leave me for the marathon? I don’t know. I’m not counting myself out just yet. I am able to bike on the stationary bike we have and I can keep up with my core work via mat Pilates. I feel I was far enough along in my training that even with two weeks off I should be able to pick up and continue training. I likely will not be setting any speed records so I will definitely have to adjust my expectations. Not the most uplifting of marathon Monday posts but, as all athletes know these things happen. Kind of makes you wonder why we keep doing it, but honestly I can’t imagine my life with out sports. I demand a lot from my body and sometimes, it’s going to breakdown. That’s just life. I will just learn from it and try to be better next time.